GIVING DAY APRIL 9-10, 2019! MOVE UCHICAGO FORWARD This April 9-10, every gift makes a difference. From staying on top of your skill set to important coaching skills every new manager should master, we will discuss how you can implement specific action steps to make your mark as a new manager and move your career forward. Improv Workshop at Improv Asylum! Join your fellow UChicago alumni for a fun evening to learn and practice your Improv skills! Whether you are just starting out, have been at it for awhile, or are looking to turn your side hustle into a main gig, entrepreneurship has its share of challenges. Join us and learn how to get more productivity and profit out of your business. The time when ownership of land, factories, and machinery were the primary signals of wealth has long passed. Learn why today, Intangible assets, intellectual property, and especially IP strategy, are too important to be delegated to your lawyer. Receive free, focused feedback on your LinkedIn profile and tips for how you can maximize your presence on the platform. Join us and learn how alumni of Graham School's Professional Development Certificate programs have leveraged their certificate into new career advancement opportunities. Executive Presence (EP) is an amalgam of qualities that true leaders exude, a presence that telegraphs you're in charge or deserve to be. Learn how to build your EP so you can unleash your full leadership potential. Despite what the naysayers might suggest—a Humanities degree can unlock numerous professional opportunities. Learn how successful alumni have leveraged their UChicago Humanities education to build meaningful careers outside academia. While always valuable, working with coworkers of diverse backgrounds, skill sets, and ages is not always easy. Learn how to effectively manage your workplace relationships during this webinar. Are you considering law school? Looking for advice as you plan your next steps? Join Bill Chamberlain with Career Advancement and receive free, focused feedback on your most pressing law school questions. Make your first New Year career resolution count with free, professional resume advice during a 15-minute online chat. Are you finding the best opportunities are going to your colleagues? Do you wonder what they know that you don't? Join us for this webinar and learn how to prepare yourself for the promotion you deserve. In recognition of National Mentorship Month, join us for this alumni panel discussion and learn about the impact mentorship can have on your career. Margaret Chan is an executive coach who specializes in helping people professionals—especially women—relaunch their careers after taking a break. Join us and learn her relaunch tips and strategies! Alumna Anka Twum-Baah MBA'08, AB'01 shares her insight into the present global evolution in digital marketing, including the increasing role of interactive content, AI, and machine learning. There's an art to writing a good resume, but it can be learned. During this webinar, alumna Liz Handlin AB'89, MBA'02, shares her proven strategies for writing a resume that will separate you from the crowd. Get a jump start on your New Year career resolutions with this webinar designed to help you be more intentional about planning your career in 2019. Drop off an unwrapped toy and stay for the party! Join us for this webinar and learn how to turn negative emotions into positive influences in your career development. Empathy is an essential foundation for leadership that empowers all who engage with it. Find out how in this engaging discussion. Join us for this candid chat on bringing your best self to an interview. Join us for an Emotional Intelligence assessment and skills on how to leverage emotional intelligence at work. Learn how to test your idea and make it scale to success. Hear alumnus and author, Eddie Yoon, AB'96, share insights on the biggest business growth areas of the last 20 years, and what might be next. Free, professional resume advice during 15-minute online chats. Our first young alumni event! Join us for a tour of the Aeronaut Brewery to sample some of their beers. After the tour we have a reserved section of the tap room for snacks and more beer! Free, professional career advice during 8-minute chats. Join Bill Chamberlain with Career Advancement and get free, focused, feedback on your most pressing law school questions. Learn about small actions you can implement today to nurture a more inclusive and equitable workplace. Join John Ryan, AB’89, for an overview of the world of recruiting and to learn how to work with a recruiter to land your next role. Learn how to adopt a job search methodology that leverages your strengths and builds an empowering mindset to drive career success in your 40s, 50s, and beyond. Join Booth alumna and start-up founder Sophia Matveeva for this webinar on building a great start-up team, including which qualities to look for and the ones you should avoid. Learn how to build your personal brand for professional success. Pam Schilling, MBA'00, offers advice to help you get focus on high value areas to research your target companies. Learn to out RESEARCH other candidates and stand out from the crowd. Boston Harper Lecture: Academic Freedom: What Is It and What Is It Good For? Discover a way to evolve your career over your lifetime based upon 10 “principles’ and 3 key questions you can ask yourself over and over throughout your life. This webinar will explore the prevailing challenges women in business face and how they can be overcome. You'll also learn how the Graham School's Graduate Student At-Large: Business program can assist in your career growth. If you have struggled with talking about your accomplishments or sharing your successes, you want to make sure you attend this webinar. Dr. Jinnie Cristerna AM ’99 will share simple and effective ways to share your accomplishments and inspires others. Apples, Cider Donuts, and Mazes, oh my! In more than a dozen cities around the world, UChicago alumni are rallying around a very important quest: having a great time. We all know having a strong professional network is important. But where do you begin? Join us for this upcoming webinar and learn practical advice for building and growing your professional network. Stuck trying to decide if it's time to leave your current job? Are you feeling unengaged or concerned that you may need to move out in order to move up? Learn how to effectively consider these questions, and more! Budgeting for Job Seekers: How Do You Know Whether a Salary is Enough? Whether you're new to the workforce, looking to change careers, or simply looking to maximize your potential, this webinar will provide advice for understanding salary and benefits when assessing job opportunities. Free, focused chats on your medical school application questions. The University of Chicago Scavenger Hunt is a springtime tradition dating back to 1987. But you don’t have to travel to Chicago to join in the spirit of Scav Hunt! Before you apply for a graduate program, you will want to take time to consider all your options and make sure you are prepared to make an informed decision. Learn practical tips for making a smart graduate school decision during this webinar. Ready to shift into a new role? Learn practical advice from the Career Advancement Business Career Services team to help you successfully navigate the recruitment and interview process for a career transition. During this informational webinar, partners from UChicago Careers in Law and The University of Chicago Law School will provide background on the legal job market and considerations for applicants. One thousand pieces of history. Considering med school? Join us for a webinar focused on helping alumni gain an understanding of the national application process and timeline. Michael O’Toole, PhD ‘14 coordinates the GRADTalk program with UChicagoGRAD, helping graduate students hone their presentation skills. During the webinar, he will share his expertise on crafting and delivering dynamic presentations. Join us for alumni panel discussion with insights from Paulina Chapa (AB '10) and Abel Mojica (AB '91) into how building a strong professional network can help you take the next step forward in your career. Interested in learning more about national fellowship programs like the Fulbright, Schwarzman, and Knight-Hennessy, as well as various British awards for graduate study? Join us for a webinar hosted by the College Center for Scholarly Advancement. Join your fellow UChicago Alumni in forming a team to compete in a trivia night at Asgard at 9 PM, Thursday June 28th. Amy M. Gardner ’02 and Keith R. Sbiral will share the 3.5 things you need to know to make the most of these meetings and grow your network. You can’t learn these tips from blog posts and YouTube videos. How do you make your resume and cover letter stand out? Join this 1-hour webinar to learn key strategies for writing compelling resumes and cover letters. The numbers don’t lie, women and people of color are challenged with gaining mobility and securing opportunities within their careers, whether that be as an entrepreneur or within a corporate setting. A four-day experience featuring over 100 events, Alumni Weekend will delight and inform Maroons of all ages with festivities, tours, lectures, and much more. In Leadership Lessons from the C-Suite executive coach Kimberly Togman, MBA '94 shares examples of lessons learned and provides insights into the leadership journey. Connect with local UChicago Alumni mentors representing a wide variety of backgrounds and professions. Life happens -- and it can get in the way at work if we don't learn to adapt to adversity and stress. Join us to hear Alderman Ameya Pawar share about his road to political office and what it is like to get bills passed and initiatives completed in Chicago. Join AlumniU for this complimentary digital book club beginning Monday, April 30, for an exploration of the Kurt Vonnegut's final novel. This webinar will cover the basics of a career in the U.S. Foreign Service: factors to consider before pursuing a Foreign Service career; the hiring process; prospects for advancement; and the unique opportunities, challenges, and dangers it entails. LinkedIn Staffers, Michael Espenchied & Michelle Grey, shares about how to create an eye-catching profile and tips on how to best use this platform to advance your career. Join AlumniU for this complimentary course beginning Monday, April 9.
is a webinar designed to increase your awareness of how negativity is generated in the workplace, especially when stress is prevalent. Join AlumniU for this complimentary online 3 week seminar beginning Monday, April 2, for an exploration of the buried narrative technique within writing. Dinner & Yo-Yo Ma at the Boston Symphony Orchestra. Need we say more?! Successfully negotiating your salary in a job offer, a promotion or a review requires that you enter the conversation empowered with confidence and knowledge. Join your fellow UChicago Alumni in forming a team to compete in a trivia night at Asgard at 9 PM, Tuesday March 27th. The Changing Role of the General Counsel, The Legal Profession & the Practice of Law. The General Counsel of today is more of a Generalist Counsel – a businessperson who happens to be a lawyer, rather than merely a lawyer who understands the business. Join your fellow UChicago Alumni in forming a team to compete in a trivia night at Asgard at 9 PM, Tuesday February 27th. Giving Day, Feb 21 - 22, 2018! AN ORDINARY DAY. AN OPPORTUNITY TO MAKE AN UNCOMMON DIFFERENCE. The University of Chicago’s fourth annual Giving Day is coming. Change is inevitable. Successful professionals must navigate unforeseen challenges and opportunities to succeed in their roles. Some people make a career transition, while others consider a transition and decide against it. We will explore both possibilities and methods for determining what is best for you and your career. Plan to unwind after work dining in the Museum of Fine Arts' Bravo Restaurant and taking a tour of the frenetic and fun Murakami exhibit. Join AlumniU for this complimentary online seminar February 5 - 26, 2018, for an exploration of modernism in early 20th-century Europe. Come hang with the UChicago Young Alumni Committee for the annual Beer and Book event. Juliet is closing its doors on Thursday night - to everyone but UChicago Alumni! Any well-written resume follows a standard set of guidelines, but to get noticed by discerning employers you need to more than meet the guideline. You need to write a resume that resonates. Join fellow Boston Booth Alumni, along with Boston UChicago Alumni and friends for an evening at Harpoon Brewery. On December 2, 1942, University of Chicago scientists changed the course of history by achieving the first controlled, self-sustaining nuclear reaction underneath the original Stagg Field. Mind Your Career: How Can We Prepare For Working Alongside Artificial Intelligence? You may have heard the famous Marc Andreessen quote that 'software is eating the world.' But what do we do when Artificial Intelligence is eating software? Should we be fearful? What will our jobs look like and what can we do to prepare? Join fellow alumni for this AlumniU Connecting the Curious seminar beginning, Monday, October 23, for a deeper look into UChicago’s Enhancing Life Project. 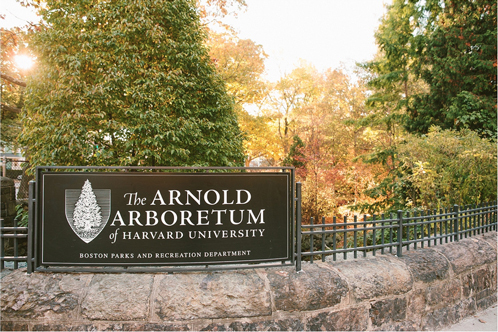 This fall the Alumni Association is going to enjoy one of the local gems of intellect and ecology: The Arnold Arboretum! When we ask alumni, “How do you want to connect with UChicago”? The common answer is, “I want to connect with students but I live/work away from campus.” Say no more! Join us for this webinar with staff who can help you connect locally. Mind Your Career: Typical Legal Issues for Startups. Join us to hear from alumnus, Justin Agans, AB'06 of Spengler & Agans. Mind Your Career: Your First Tech Startup? What You Need to Know. Half of the skills valued by mature companies will be helpful for your tech startup, and the other half could kill it. Learn which is which from 4 time tech founder, advisory board member, pitch judge, and big company refugee, Stuart Schaefer MBA ‘92. Continue the Conversation: "Mapping Your Own Career & Navigating the Transitions"
There is no one-size-fits-all approach in life or in careers, we will ponder ways to be creative, productive, and have fun with our work. While life can feel short, your career can feel like a long road if you are not doing what you care about most. Come network with University of Chicago students and alumni interested in healthcare industry careers! Continue the Conversation: "Master the Interview"
Anne Marie Segal, AM'96, author of the book, Master the Interview: A Guide for Working Professionals, who writes on career and resume topics at Forbes.com and has been quoted on CNBC.com and other media outlets is presenting on this webinar. Continue the Conversation: "The 2-Hour Job Search: The Informational Interview"
Learn about the healthcare and life sciences ecosystem at this inaugural joint symposium for the UChicago and Booth Graduate School of Business alumni clubs. Join the Young Alumni Committee for a night of fun and bowling! The Yiddish Book Center is a nonprofit organization that works to tell the whole Jewish story by rescuing, translating, and disseminating Yiddish books and presenting innovative educational programs that broaden understanding of modern Jewish identity. Talk about the perfect night: a multi-course dinner with wine pairings followed by an evening concert of Mozart's best! Continue the Conversation:"The Tech Voice You Should Be Following"
Live Online Discussion & Networking Event! Top 1% viewed profile on LinkedIn. Cybersecurity Marketer of the Year & Sutherland Government Solutions – WINNER: Meet Chuck Brooks, AM'81, VP Government Relations & Marketing, Thought leader: Homeland Security, Cybersecurity, BPO, Big Data, IoT. Miss those days guzzling Red Bull and staying up four nights in a row for ScavHunt? Fear not, we're here to turn your nostalgia into reality! Join us for a presentation with alumna Sheila Oh, whose unusual career path took her from music studies at UChicago to directing a computer science program at Seattle University. How Do You Celebrate Women's History Month? A Live Online Discussion & Networking Event! Continue the Conversation: "Crafting a Competitive Resume"
Mind Your Career Webinar: "Crafting a Competitive Resume"
How to Create a Professional Resume that Stands Out From the Crowd and Expands Your Professional Network in the Process. Build Your Policy Toolkit with Harris Public Policy and NORC. What happens when you shut some UChicago alumni in a room with a mystery to solve? Join the UChicago Young Alumni Committee for our “Beer & Book” celebration. Mind Your Career Webinar: "Chicago Booth Civic Scholars Program"
Join us for this informative webinar offered by Molly O'Donnell, Director, Booth School of Business Civic Scholars Program, a full-tuition scholarship to the Weekend MBA Program offered to professionals who work in not-for-profit or the government. Mind Your Career Webinar: "Mentoring Students from Anywhere"
Learn about a new engagement platform called Wisr set to launch soon. We will discuss Gabriel Garcia-Marquez's "Leaf Storm" at our February meeting. Please join us for dinner and a private docent-led viewing of the Wilson & Cortor exhibit at the Museum of Fine Arts in Boston. Mind Your Career Webinar: "Would I Benefit from Coaching?" Kick-start your New Year with executive coach and dual alumnus, Tony Mayo, AB'77 MBA'78. Join us for a talk by Professor Zachary Lesser, Professor of English, University of Pennsylvania. Join us in invigorating and restorative yoga flow, accompanied by live music. AlumniU—UChicago’s new online learning platform exclusively for alumni—is excited to announce our Winter 2017 content. Our next discussion will be the play A Doll's House by Henrik Ibsen. Join us in a relaxing mediation class followed by tea! Please join the Alumni Club of Boston and University of Chicago Dean of Students, John Ellison, for an evening of dinner, discussion and debate around the University's stance on trigger warnings and safe spaces. You’ve all spent much of your lives reading books, but how many of you have had the chance to be at the controls of a printing press? Come spread holiday cheer and share your beloved winter holiday traditions with your Boston family of alumni.